Over his 38-plus years of drumming, Joel has performed or recorded with such artists as Bo Diddley, Davy Jones (The Monkees), Grammy Nominee Melissa Reaves, The Blind Chitlin Kahunas, Tas Cru, Tino Gonzalez, The Spiral Starecase, Joan Osborne, Dave Keyes, Steve Lambert (Roman Holliday), Sandy Vee Anderson, David Rose, and many others. With his own projects, Joel has shared stages with the likes of Tower Of Power, Levon Helm, Cheap Trick, Johnny Winter, Rick Derringer, David Johansen, Kim Simmonds & Savoy Brown, Edgar Winter, The Nighthawks, 38 Special, Joe Louis Walker, Harper, Alexis P. Suter, Canned Heat, and more. 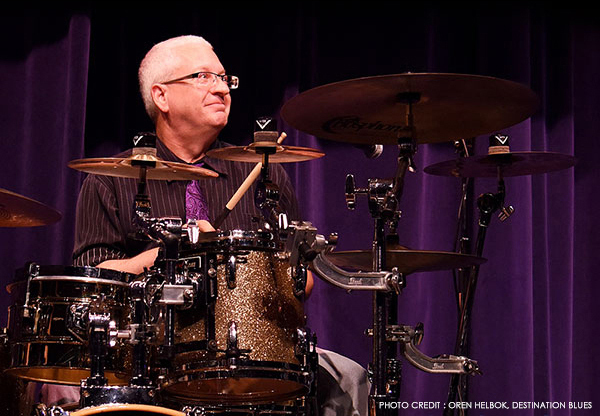 As a drum & stage tech, Joel has enjoyed the privilege of working with Levon Helm, The Pretenders, Joan Jett, John Waite, Patty Smythe, Luther Allison, 38 Special, The Hooters, Smokin' Joe Kubek, and countless others. Joel regularly offers his drums & drum tech services to many regional festivals, events, and venues. Regionally, Joel is a 'first-call' drummer for both live performance and studio projects, and currently performs with popular regional acts Lumpy Gravy, The Doug McMinn Jazz Quartet, The Doug McMinn Blues Band, The Ken Wittman Trio, JT & The Denicats, The Goods, Bop Top, and others. Aside from drumming, Joel is the Marketing Manager for Bullfrog Brewery, an award-winning craft brewery in his beloved hometown of Williamsport, Pennsylvania, as well as the creator & editor of WilliamsportLIVE.com, a highly-popular local website.